Alissa Torres is a SANS analyst and Principal SANS instructor specializing in advanced digital forensics and incident response (DFIR). Alissa was recognized by SC Magazine as one of its “2016 Women to Watch.” and a recipient of the Enfuse 2018 Difference Makers Award for her efforts in educational outreach. She has more than 15 years of experience in computer and network security that spans government, academic, and corporate environments. 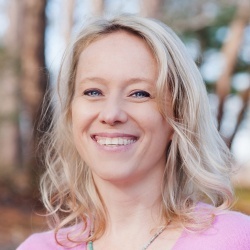 Her current role as Founder and Senior Consultant at Sibertor Forensics, a security operations and incident response consulting company, provides daily challenges “in the trenches” and demands constant technical growth. Alissa is a frequent presenter at industry conferences (RSA, BSides, Shmoocon, Enfuse) and has taught hundreds of security professionals over the last 5 years in more than 12 countries. As the lead author of the SANS FOR526 Advanced Memory Forensics and Threat Detection course, she is passionate about memory management and forensic artifact hunting. In this episode we discuss, being confused with Heather Mahalik, running a helpdesk, file system forensics, memory forensics, balancing blue teams and red teams, when to add threat hunting to your program, the value of certifications, balancing work and life, keeping skills current, and so much more.